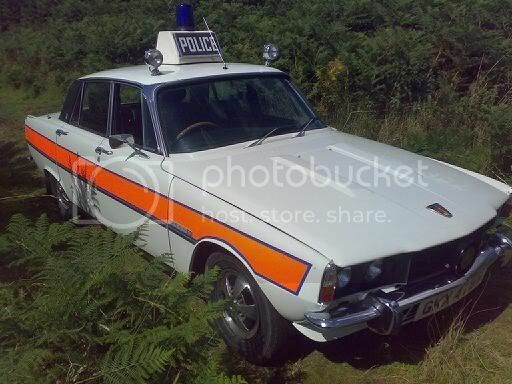 It's a fair cop guv'nor! ....Loving the "unmarked" P6 Rover: Difficult to see, but in the bottom pic, this car has some sort of "crest" or "Coat of arms" mounted at the front of the roof, reserved for some special duties perhaps?....And I'm slightly puzzled as to why the Metropolitan Police (who, if my understanding is correct, are London based) would be needing a Land Rover! 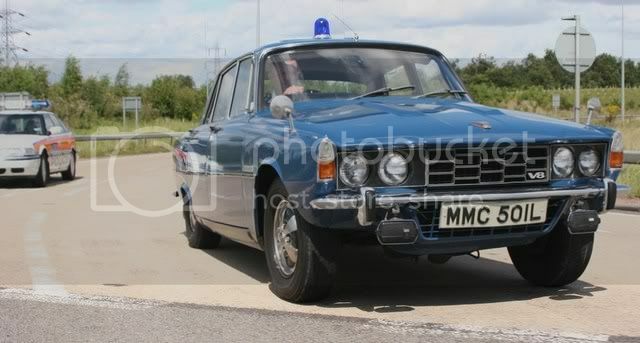 Most of these cars are kept at the Hampton traffic police staition,see them floating around quite often on nice days,always wondered if they have a Triumph 2.5? 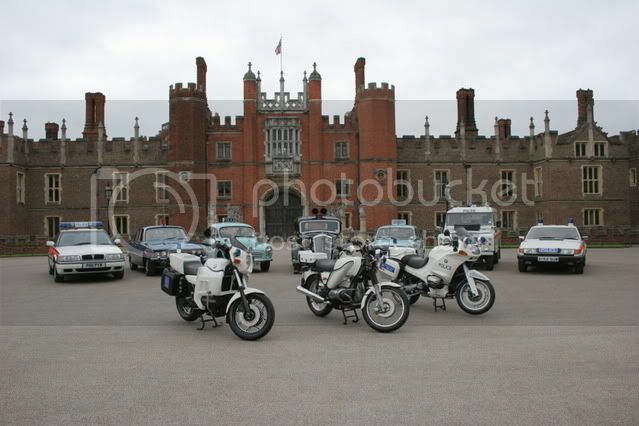 Think the last pic is Hampton court palace? I think that P6 was featured in Practical Classics a number of years back. I think it is a special version with armoured glass etc and weighs in at around 2 tons! 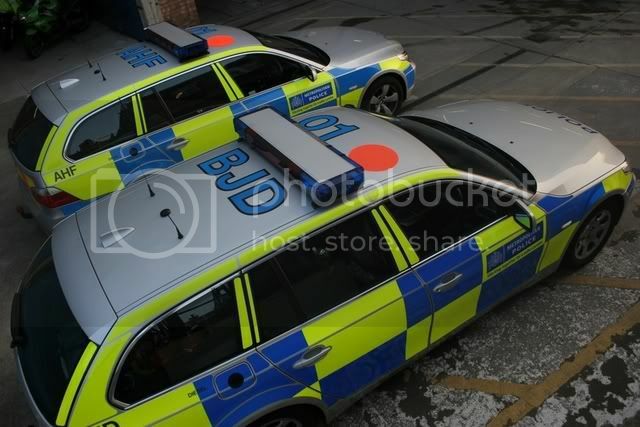 On a side note, I thought the cops removed the wheel trims from the P6 3500 because under hard acceleration the wheel trims would sheer off the wheels air valve! I think that they also have a 2.8 Capri in their collection as well as an undercover Allegro with noise surveillance equipment installed. The Land Rover is a SETAC unit, for accidents, and not seen in the picture. two vertical rubber buffers on the front bumper with extensions downwards, used for pushing dead cars off the M4 elevated section etc...........A friend of mine is restoring one of these survivors. Every rivet, nut and bolt has been attended to. I might find his webshite somewhere. 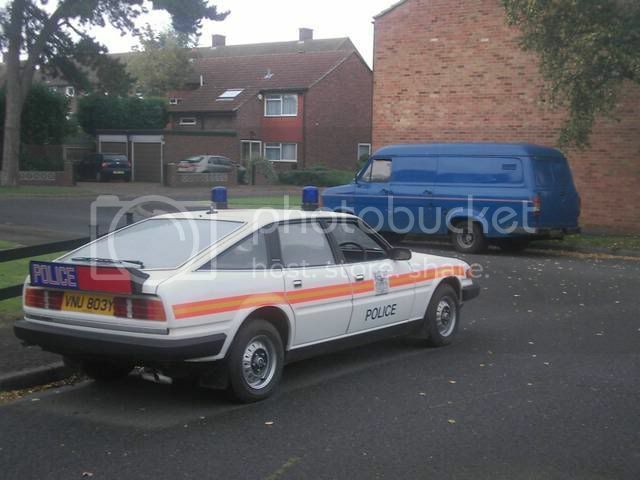 Intrigued to find a picture of a Capri 2.8 injection police car, I stumbled across this site.... 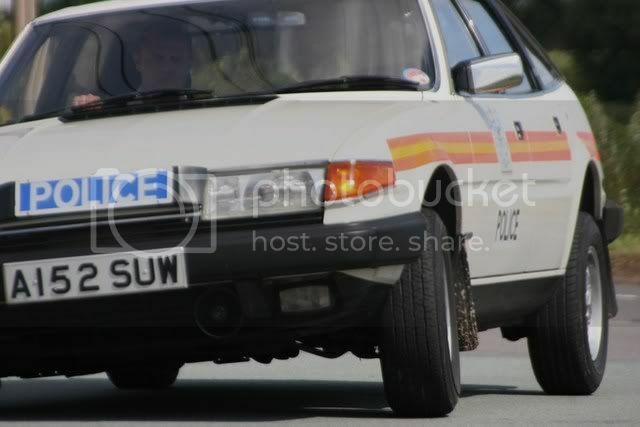 www.policecaruk.com....It has some superb pics: including an ex-Greater Manchester Capri injection, and a Volvo 240, looking awfully like the one that was in last weeks "Storms of '87" programme!Interesting stuff....I'll tell my stepson to keep digging for pics! HA!Anyone remember when it was a "fair cop, guv"???? ?Now it's an unfair cop, guv. Scameras bleeding us dry while drunk polish-registered uninsured untaxed and unroadworthy death-traps tailgate at 29mph. For my six points, they at least had the decency to hide in the bushes with a radar gun (twice in one month! )....Can't say fairer than that! 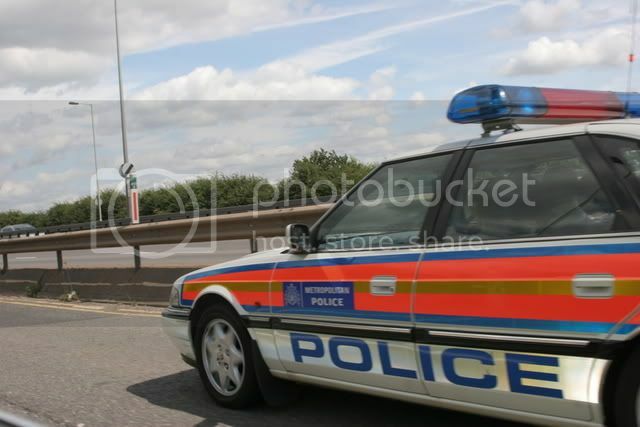 Wowwee I'd have loved to have been behind the wheel of this! 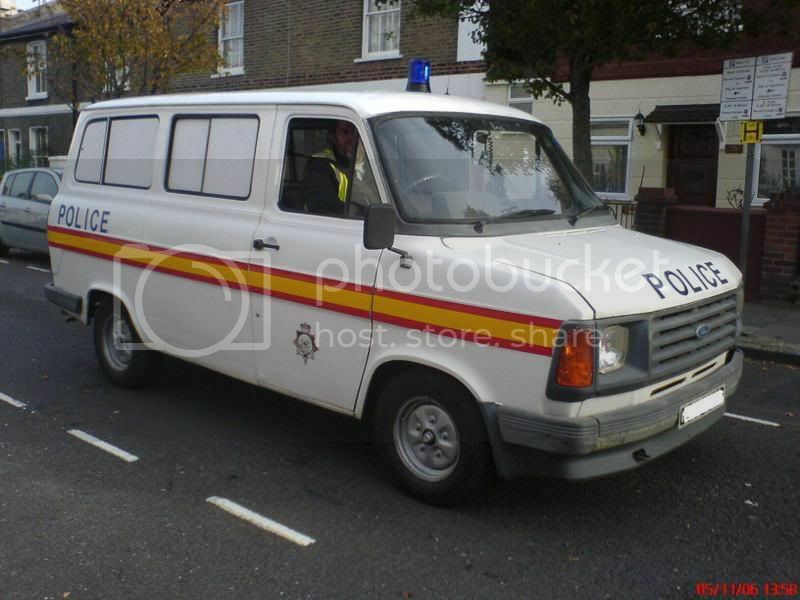 GMP owned at least one 28i jam-sarnie prior to 1987. 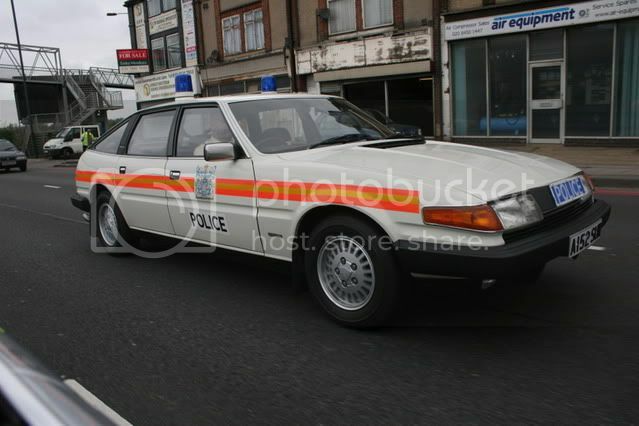 Way back in 1984 I got pulled by an officer of the law while steaming down Wigan lane. I was doing 35 flat out on a TS50ER, all 50cc and 3hp of it. He let me off with a good bollocking but I still remember his opening gambit......."Now then squadron-leader, having trouble getting off the ground are we?" 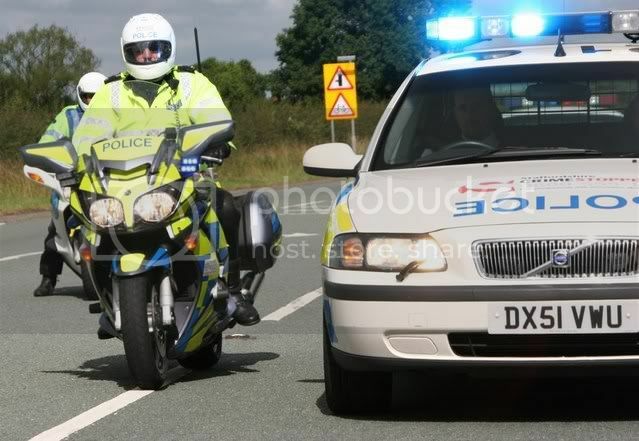 A few years later the same Rozzer, only this time in a blank Sierra nicked me in the same spot only this time I was on a CBX550 and doing a lot more than 35.......... he didnt let me off! He let me off with a good bollocking but I still remember his opening gambit......."Now then squadron-leader, having trouble getting off the ground are we?" I was doing 35 flat out on a TS50ER, all 50cc and 3hp of it. 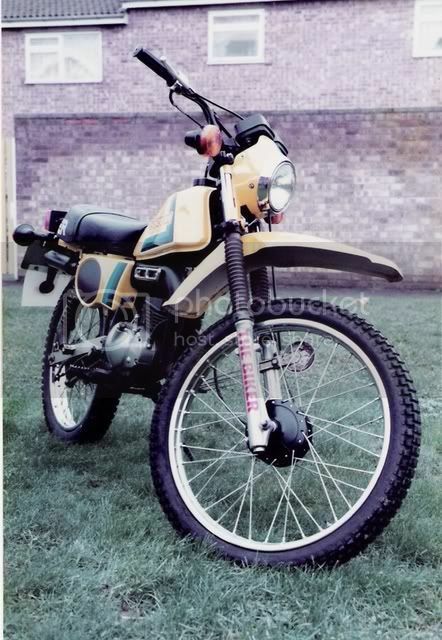 ....Superb little bike....Mine would indicate over 40 flat out....My mate's newer TS50X couldn't stay anywhere near it! I love em even more when they shut the roads and you can let rip with the dee dahs and light em up!